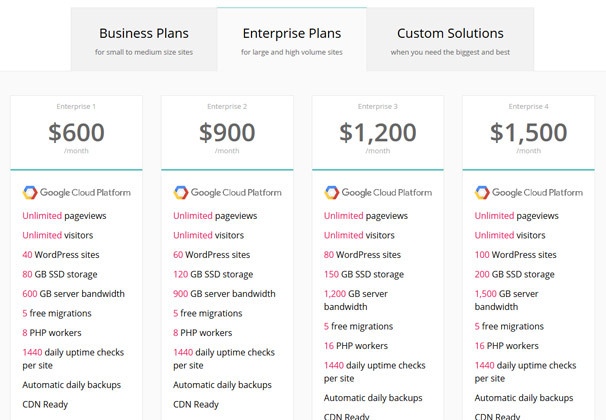 Kinsta is a managed WordPress host with servers powered by Google Cloud Platform. They offer scalable hosting for high-end businesses and websites that receive substantial amounts of traffic on a regular basis. This makes this host a great option for sites that do a lot of promoting and need to be able to stay afloat during high peaks in traffic. 18 Who is This Host for? Kinsta was founded by experienced WordPress user Mark Gavalda on December 1, 2013. The company had humble beginnings, but they now have enough business to support two headquarters in Los Angeles and London as well as employees located all around the world. 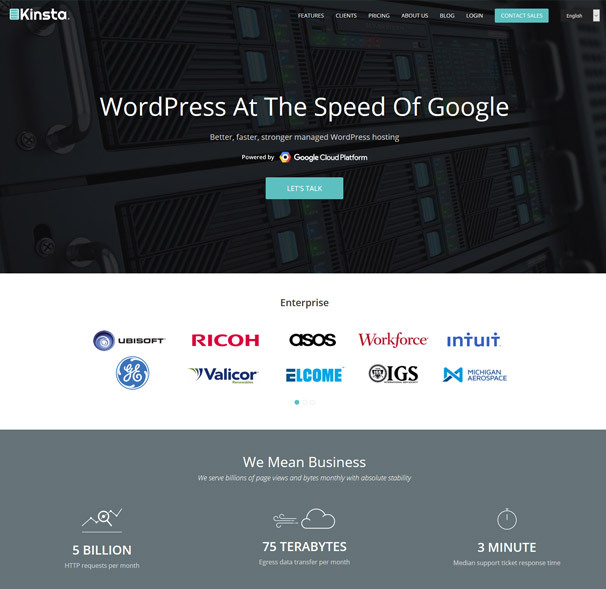 Kinsta’s infrastructure is powered by Google Cloud Platform, a cloud-based hosting infrastructure offered by Google. The company made history in April of 2016 when they became the first managed WordPress host to run exclusively on Google Cloud Platform and LXD containers, giving them a way of offering servers higher in quality than what most hosts are able to offer. Speaking of which, it should be noted that Kinsta is a host geared toward high-end businesses that need a lot of server power. This is not a host for an average blog or website, and it’s definitely not a host for amateur or first-time bloggers. 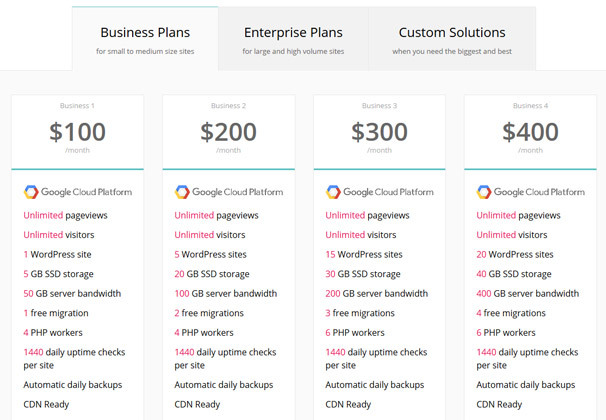 Kinsta offers eight pricing tiers available in two different plans as well as a third plan for those who need something a little different or extra. You may be caught off guard by the prices at first glance, but keep in mind this host is meant for large-scale businesses. *Kinsta’s servers run on a cloud-based infrastructure, giving them the ability to scale and use more resources as needed. This is why an unlimited number of pageviews and visitors are allowed on every plan. Let’s break those large-scale businesses down to small, medium, large and enterprise-sized chunks. With that done, we can accurately say Kinsta’s Business Plans are ideal for small to medium-sized businesses or developers who manage no more than 20 websites. Going back to the “chunks” of large-scale businesses we created in the last section, if Kinsta’s Business Plans are suitable for small to medium-sized businesses, their Enterprise plans are ideal for large to enterprise-sized businesses. This is mainly due to the amount of bandwidth these servers can handle. Kinsta offers custom plans for those who need a specific set of features that aren’t available in the stock plans. Kinsta offers support 24/7 via an online messaging system. Some of you may be put off by the fact that they don’t offer phone support, but they have good reasons not to – we’ll give you a quick summary. First of all, support requests typically revolve around issues with websites, be it server issues or WordPress-related issues. The support staff need to be able to know what type of server you’re running in an order to help you in most cases, which means they need to be able to identify you. It’s much quicker to have your name and customer information pop-up in a messaging app than it is to go back and forth in a phone conversion. A messaging system also makes it easier to share screenshots and links both ways. As far as support staff goes, Kinsta’s customer service team is full of WordPress experts who work with WordPress core on a daily basis, so they’re more than capable of solving your problems. This is a higher-end managed WordPress host, and it’s definitely a high-quality host. Let’s talk about the advantages you’ll experience if you choose this host. Google Cloud Platform offers a significant amount of performance in terms of speed and scalability. However, Kinsta’s servers use a number of different technologies that contribute to its speed advantages, including Nginx, PHP 7, LXD Containers and MariaDB. You can choose which data center your site uses, allowing you to optimize your site in terms of where your visitors are located. Kinsta’s data centers are located in US Central, Europe and Asia-Pacific. Kinsta’s increased cost comes with major security benefits. They perform uptime checks every minute of the day and protect your site from DDoS attacks and malicious code. Kinsta backs your sites up on a daily basis. The backups are automated, and they occur in an environment that’s isolated from your server. They also create daily restore points. Kinsta offers free site migrations. They create a temporary domain for your account and set everything up before making the transition. Kinsta allows you to create staging environments for your sites with one click. These environments clone your site and allow you to test new features and updates in a sandbox environment. Not every host is perfect, and Kinsta is no different. Let’s talk about the disadvantages you may experience if you choose to use this host. Kinsta is a managed WordPress host, and like most managed WordPress hosts, it has a small list of plugins you aren’t allowed to use as they may conflict with the services Kinsta offers. This includes caching plugins, backup plugins, Wordfence, EWWW Image Optimizer and WP-Optimize. Kinsta offers these services for you, but disallowing them can prove to be an issue for those who prefer to be in control. Kinsta offers great support, but unfortunately, they only offer one type of support no matter what price you pay. Pricing plans are based on the amount of bandwidth, storage and sites you use, but it would be nice if the higher-end plans, such as the Enterprise Plans, came with priority support. 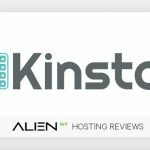 Kinsta is a quality WordPress host and a great web host in general. This is why it’s unfortunate that they don’t offer plans for smaller sites so more people can enjoy their services. However, it’s completely understandable why they’d want to focus on larger businesses. Let’s wrap up this post by talking about who this host is for, which we’ve mentioned multiple times throughout this review. This host is for large businesses who have six and seven-digit monthly visitors and receive huge spikes in traffic on a regular basis. This is especially a great host for e-commerce sites. It’s also a host for businesses who need to be live 24/7/365. Lastly, it’s a host for developers who build and manage WordPress sites for large-scale businesses. Kinsta is the hugest ripoff in the history of web hosting. They put things in a pretty package and charge 1000x what SiteGround does which, by the way, plenty of studies show it is 4x as fast. Do NOT get Kinsta! Do NOT believe the hype. I have had Kinsta for a year. Their customer service is a nightmare, and they ALWAYS find a way to give tons of hidden charges.